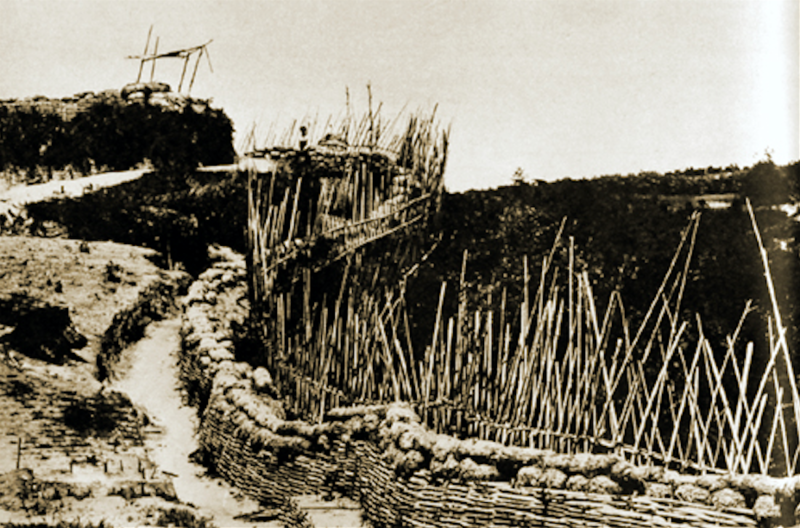 The Battle of Shiroyama, the battle that inspired the final scenes in the movie The Last Samurai, took place on Sept. 24, 1877, and was fought between the Imperial Japanese Army and the Samurai of Satsuma, in Kagoshima, Kyushu. 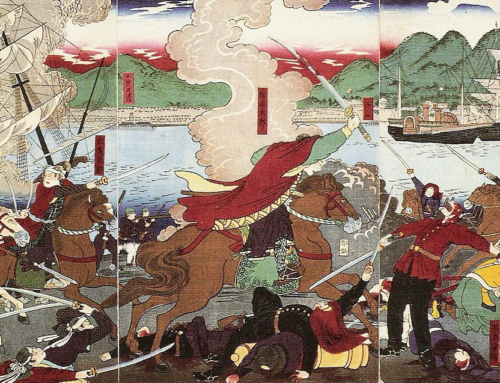 30,000 Imperial troops faced off against some 500 samurai, led by Saigo Takamori. 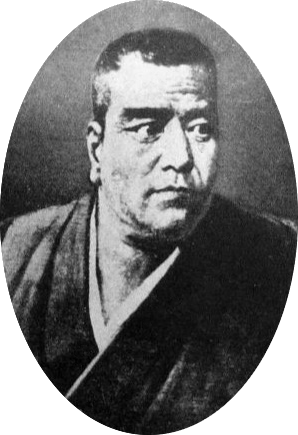 Six weeks earlier, Saigo Takamori had some 20,000 samurai followers, however following defeat at the siege of Kumamoto Castle, deaths and defections had reduced that number to around 500. 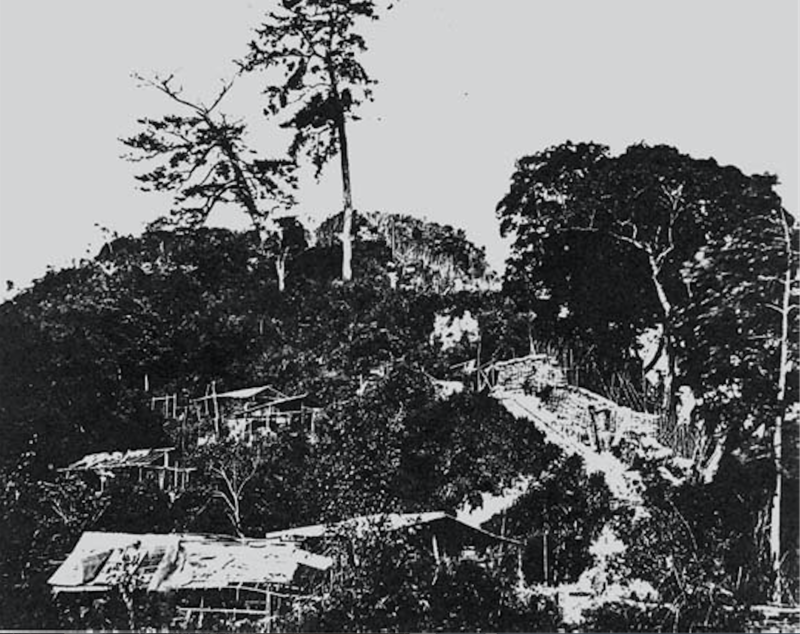 The remaining samurai, armed with basic single load muskets and their traditional swords and bladed weapons retreated to the fortified Shiroyama, a hill overlooking Kagoshima. 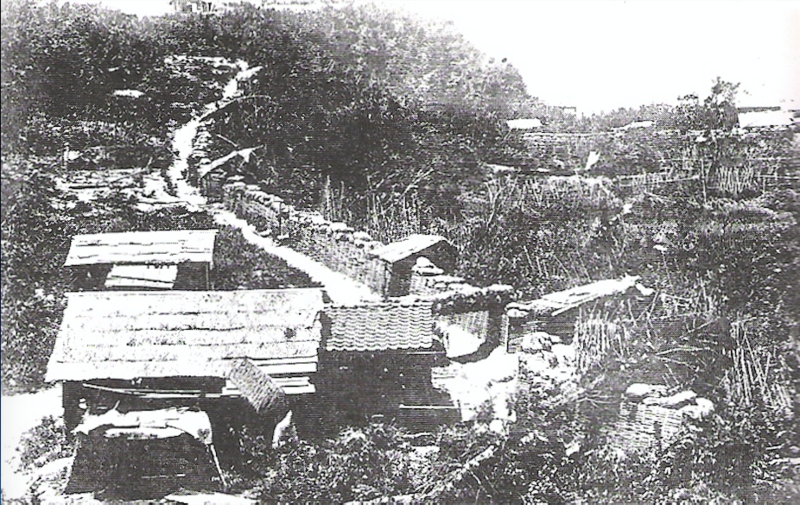 Five Imperial Navy warships in the harbor, and Imperial Army artillery rained over 7,000 shells on the men of Satsuma. 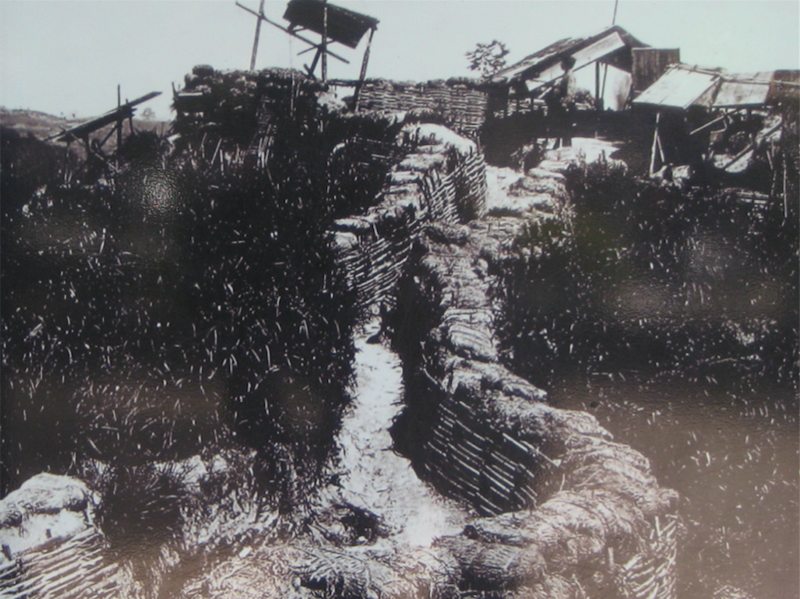 In the meantime, 30,000 Imperial forces surrounded the hill, constructing ditches, walls and obstacles to prevent the rebels from escaping. They too maintained heavy fire on the small band of samurai inside. Early on the morning of September 24, the Imperial forces stormed the rebel outpost. 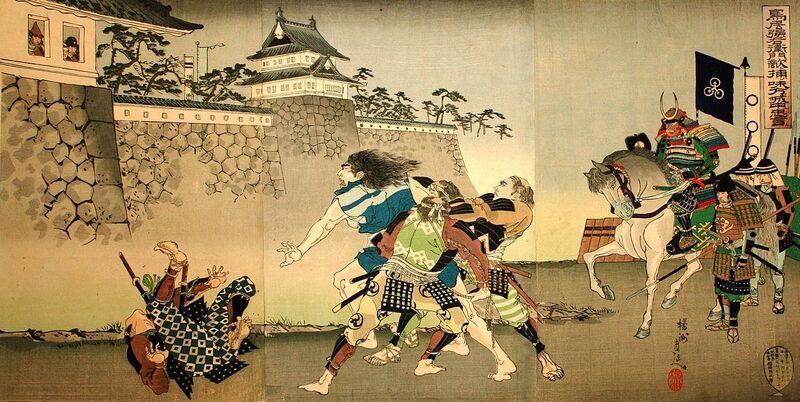 The samurai counterattacked, and soon sent the Imperial forces into disarray with their swordsmanship outshining the opposition untrained for close quarter combat situations. 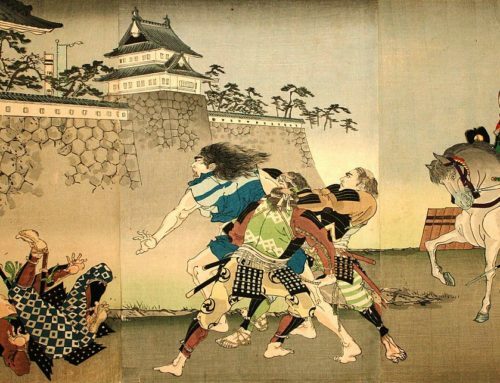 While the samurai made an initial impact, the sheer weight of Imperial numbers soon brought them down. 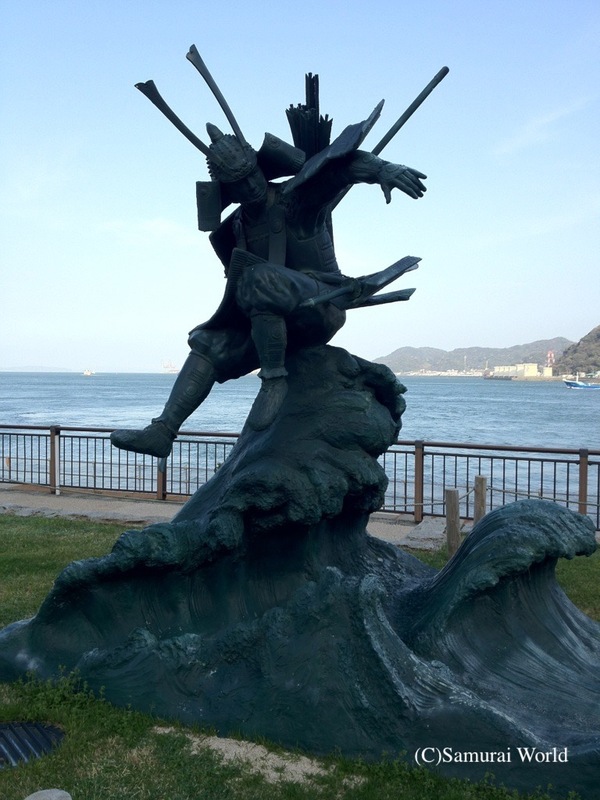 By 6am that morning, only 40 of Saigo’s men remained alive. 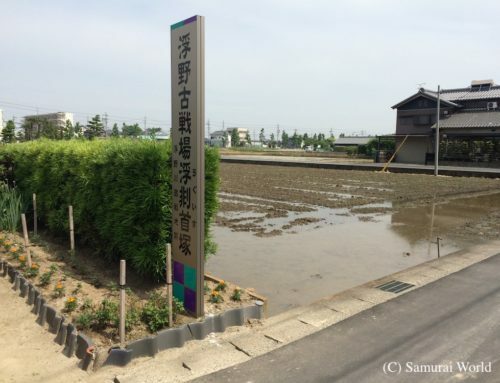 Saigo himself had been badly wounded by gunfire, and so sought a suitable place to die honorably, the way a samurai should. 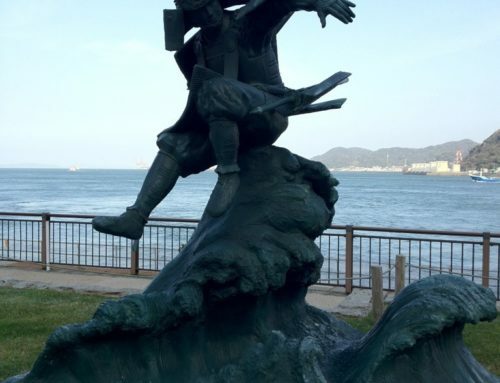 Helped to a spot at the bottom of the hill, he is said to have committed seppuku, with his loyal follower, Beppu Shinsuke acting as Kaishakunin, or assisting executioner, although recent findings show that Saigo probably died as a result of his injuries, and was beheaded to make it appear that he had committed seppuku in the manner of the samurai. 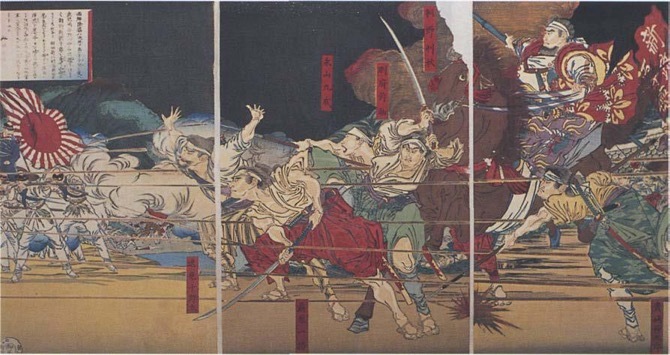 With their leader dead, the remaining samurai now led by Beppu drew their swords and charged the Imperial lines, where they were mown down by gunfire. 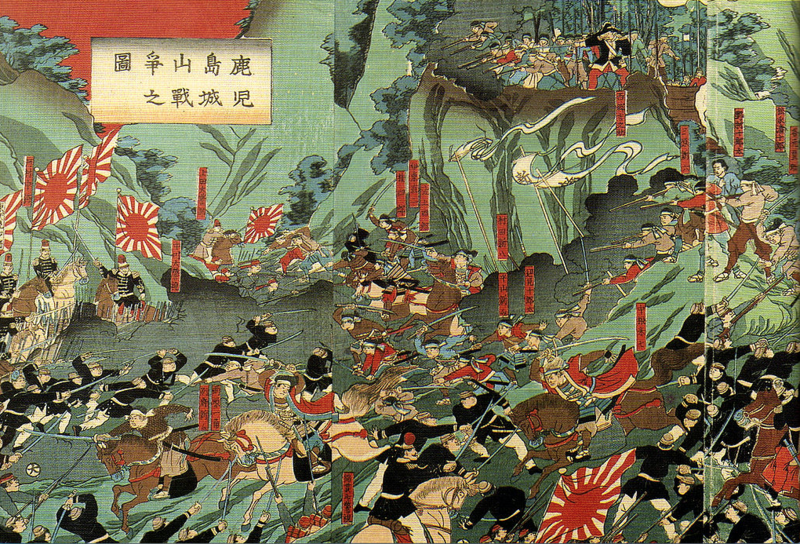 Their deaths in the Battle of Shiroyama ended the Satsuma Rebellion.